Saturday: 8:00am – 4:00 p.m.
For your diagnostic imaging, blood draw or lab testing needs, no appointment is necessary. When you enter the main sliding glass doors, the Diagnostic Center is to your far right. You do not need to register at the reception desk in the main lobby, please go directly to the Diagnostic Center to register. If you have any questions, please call 518-409-8616. Champlain Family Health serves people of all ages. We welcome you to be a part of our family—here or at any of our health center locations. Our pediatric, adult and family medicine practitioners provide comprehensive primary and selected specialty health care services. The UVM Health Network-CVPH Diagnostic Center located within our health center offers a range of ancillary services including x-ray, EKG and blood draw. 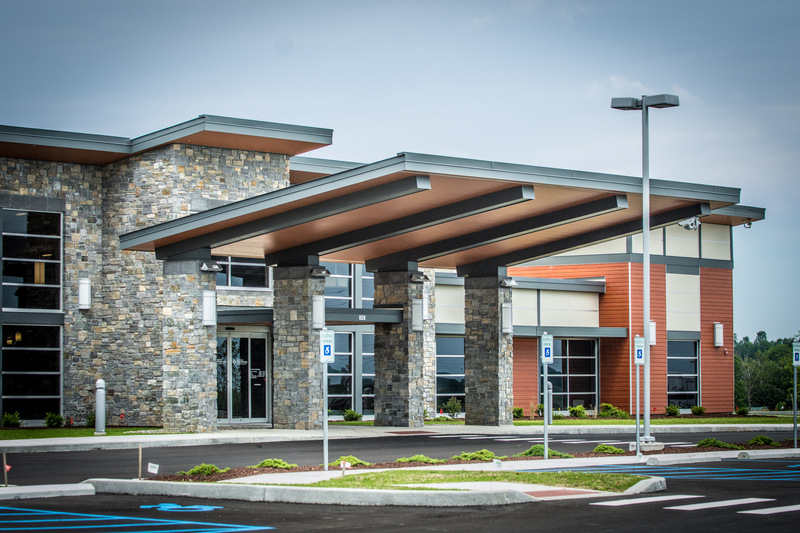 The services and specialty care available at this location are listed below. In addition, to maintain high-quality care in our community both now and in the coming years, the staff at Champlain Family Health is dedicated to educating future health care providers.